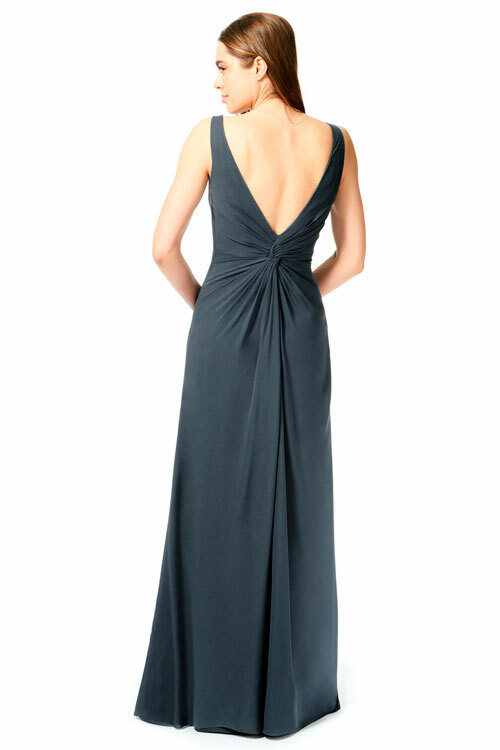 Bary Jay bridesmaid dress style 1853 - Georgette High front neckline with a deep V back with a twist knot at the center back waist. Maxi skirt with flat front. Full side seam zipper. 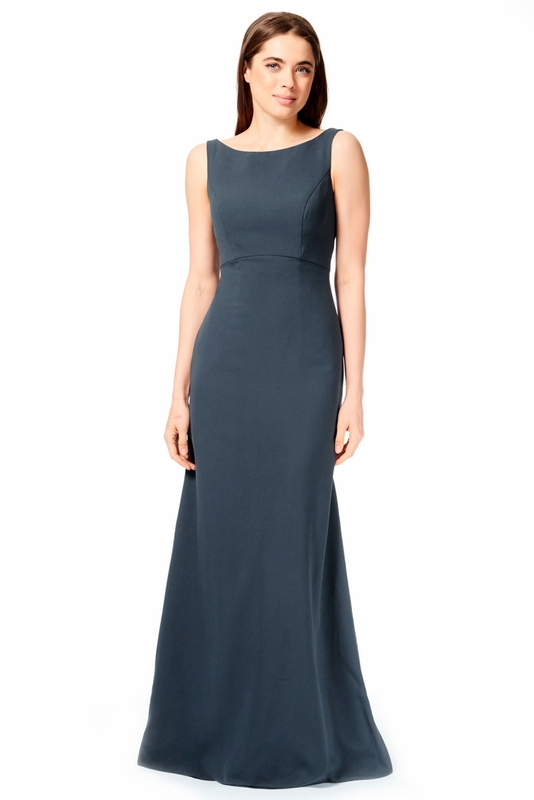 Note: Dresses with a side zipper should be ordered one size up.